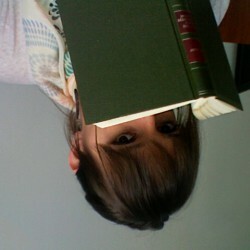 This is another example of me reading a book because I loved the movie. When I was a kid, I could watch this movie over and over again, until I knew all the songs and most of the dialogues by heart. But it was only recently when I learned, that it is actually based on a book by Peter S. Beagle. To be honest, I just wanted to know, whether it is actually a children’s book or not, because in the past I read a couple of books, assuming they were children’s books and was quite surprised that they absolutely weren’t (let me tell you, Call of the Wild is NOT a book I would recommend for any child). 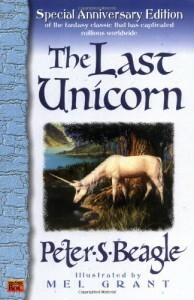 In my opinion, The Last Unicorn is no children’s book. It is quite similar to the movie, but, of course, more detailed and within these additional details a little bit more brutal. Bottom line: I loved it, it was exciting, funny and lovely and Schmendrick is still my favorite character and he is even more awesome in the book version!